2013 sees five new faces coming in to replace some very experienced and renowned formula 1 drivers. 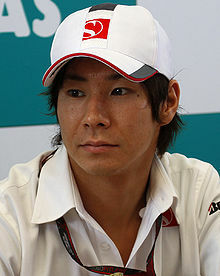 Kamui Kobayashi, Heikki Kovalainen and Timo Glock, all drivers who should rightly still be in the sport have lost their race seats only because they do not bring the financial backing that the teams at the back of the grid and actually even in the middle order so badly need. Sauber has signed on Gutierrez to ensure it does not lose the sponsorship dollars brought in by Mexican billionaire Carlos Slim in the form of branding for the Mexican telecom company Telmex and tequila brand Jose Cuervo. Sergio Perez was also backed by Carlos Slim and he created a name for himself in 2012 with his strong drives to the podium and his ability to manage his tires better than anyone else. Gutierrez has also shown good pace in the first test at Jerez and there is no reason to assume that he is lacking talent in anyway. For the smaller teams it is tougher to hire drivers without much backing because the budgets are really tight for them and that is a reality in Formula 1. Caterham and Marussia were in the fight for the 10th spot in the 2012 standings and whoever made it to that spot at the end of the year stood to gain at least $ 10 million from the teams share of the television revenue earnings. Caterham ended up on top thanks to Petrov's 11th place finish in Brazil and gladly accepted the extra bucks, but had to let go of Kovalainen and Petrov to put in place an all new line up with Charles Pic and Giedo van de Garde who both come with good sponsorship packages for their teams. Martin Whitmarsh, who has hired the fastest pay driver of 2012, is not too happy with the situation and believes that there are too many pay drivers in Formula One. This results in good drivers holding up seats in junior categories for long periods of time and they are clogging up the system. He warns that this means that some drivers coming into the sport are not up to the job, while more talented but less funded drivers don't get the opportunity to enter. 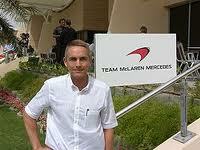 ESPN F1 quoted the Mclaren team principal saying,"If you look at the churn of drivers, it is very low. One reason is because teams are conservative and don't take risks [with their line-ups] and the risks that are taken materialize in instant revenue for the team, but don't materialize in driver potential for the future. Its sad to say, but the reason that some of those guys are pay drivers, not all of them, but the reason that some are pay drivers is because they are actually and fundamentally not good enough to be in Formula One." He has recommended enforcing a rule where every team in a junior category must have a rookie. Ruling out telling smaller teams that they must not hire pay drivers, as today's budget sadly requires them, he said, "If the top teams had to have a rookie then I think they'd be a fight over the good rookies at the bottom and the'd get sucked in because those competitive teams need them and they'd get accelerated through." Force India have yet to confirm their second driver to partner Paul di Resta, but there has been an offer to Narain Karthikeyan to sign up as a reserve driver in exchange for this increased sponsorship budget from TATA, the Indian business conglomerate. Karthikeyan's management has said to have rejected the offer as they are only looking for a full time race seat. If Jules Bianchi or Adrian Sutil lose out on this seat due to the bucks brought in by Narain, it will be another sad result of the sports current economic situation. Its unfair that deserving and talented drivers get neglected coz they don't have the financial backing to be in FI. As a common man, I always percieved F1 to be glamorous with loads of money involved for teams, drivers and owners. What are the owners doing then?!!?.. if they cant back talented drivers who will give them maybe podium finishes or better results than before. Pardon my ignorance, It's just the common notion that I'm sure many people like me have. Nice post on a topic that might lead to another - spending caps. While I understand that Formula1 is supposed to be the pinnacle of technological evolution in motorsport, placing such a demand on the purses of smaller teams inevitably results in an increase in the number of drivers who are there primarily because of the sponsorship they bring. I don't know what the ideal solution might be, but I miss the days when a smart smaller team with a phenomenal talent at the wheel could still wipe the floor with the big boys. Think Senna in his JPS Lotus. Any thoughts on what could be done to ensure a more competitive field?